Ships today if you order in the next 9 hours 21 minutes. 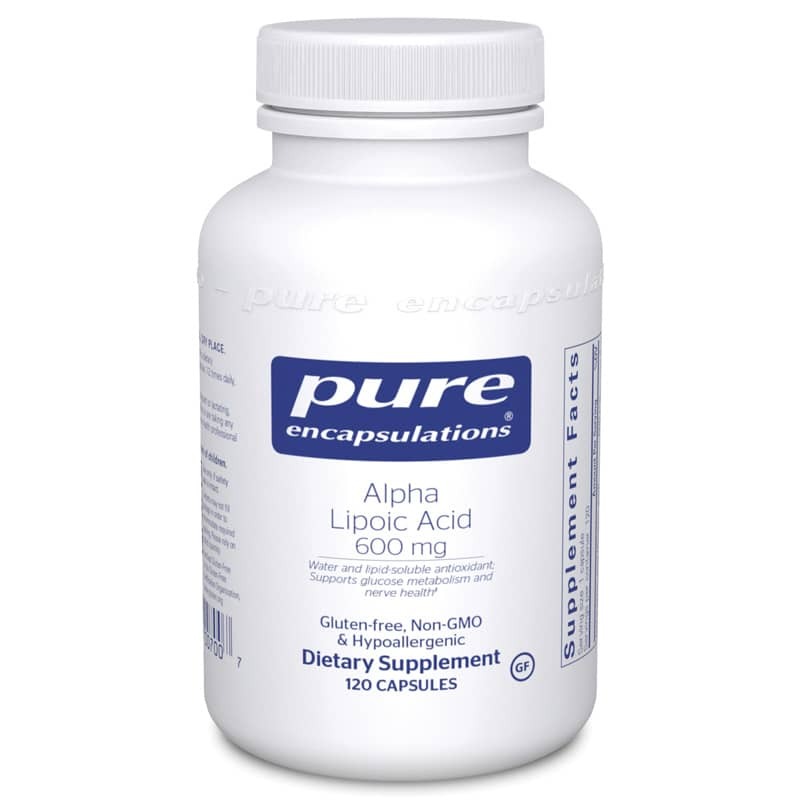 Alpha lipoic acid is both water and fat soluble which allows it to function in almost any part of the body as an antioxidant. A key component of the metabolic process, alpha lipoic acid produces energy in muscles and directs calories into energy production. In addition, it helps maintain healthy glucose metabolism, supports the nervous system and provides nutritional support for healthy liver function. In one study, alpha lipoic acid decreased serum lactate and pyruvate and promoted healthy glucose metabolism in lean and overweight individuals. Alpha lipoic acid supported nerve health in subjects who participated in a randomized, double-blind, placebo-controlled, multicenter trial. The ability of alpha lipoic acid to modulate nitric oxide metabolite activity and to promote healthy microcirculation accounted for its ability to promote nerve cell health in two separate studies. Alpha Lipoic Acid is a multifunctional nutrient which plays a key role in the antioxidant network and the metabolic process. These statements have not been evaluated by the Food & Drug Administration. These products are not intended to diagnose, treat, cure or prevent any disease. The information contained herein is for informational purposes only and does not establish a doctor-patient relationship. Please be sure to consult your physician before taking this or any other product. Consult your physician for any health problems.